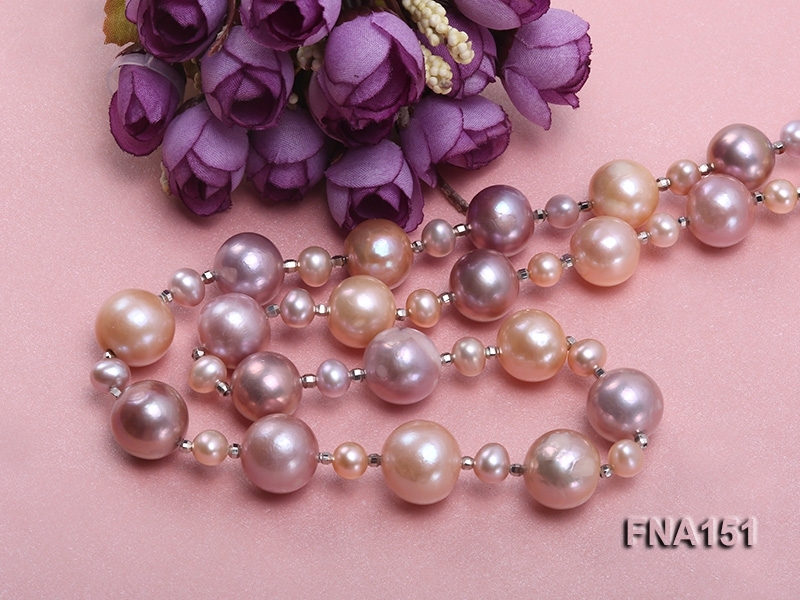 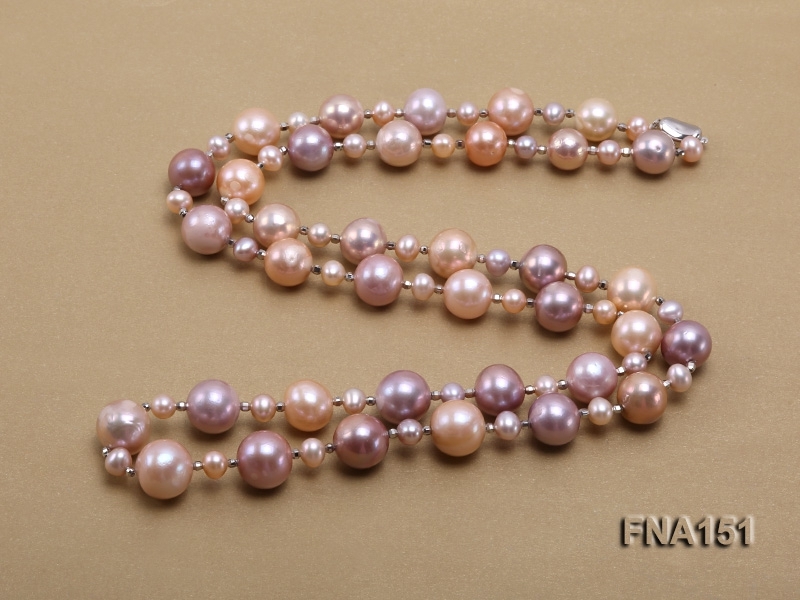 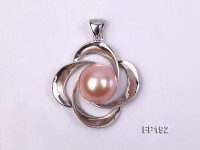 Classy 13-16.5mm pink and lavender Edison pearl long necklace for sale. 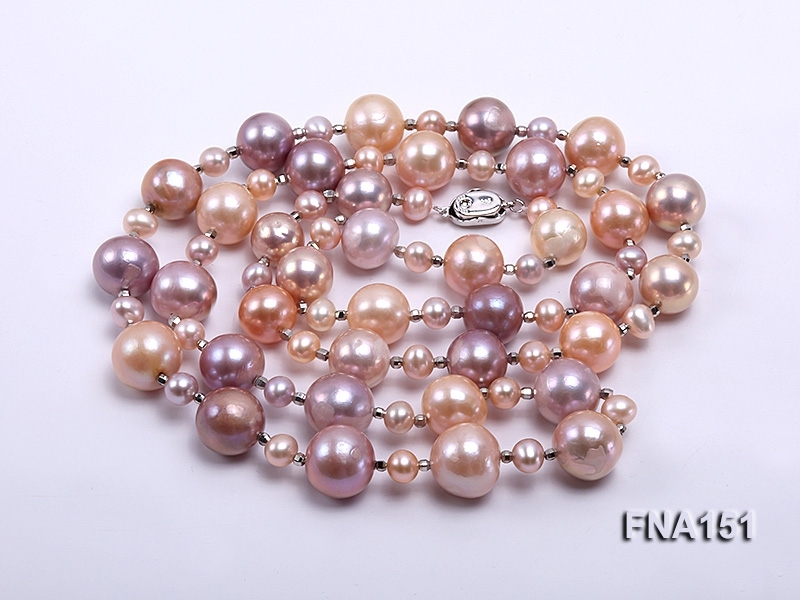 The Edison pearl necklace is 39 inches long and closed by an easy-to-use 925 sterling silver clasp to protect you from getting allergic. 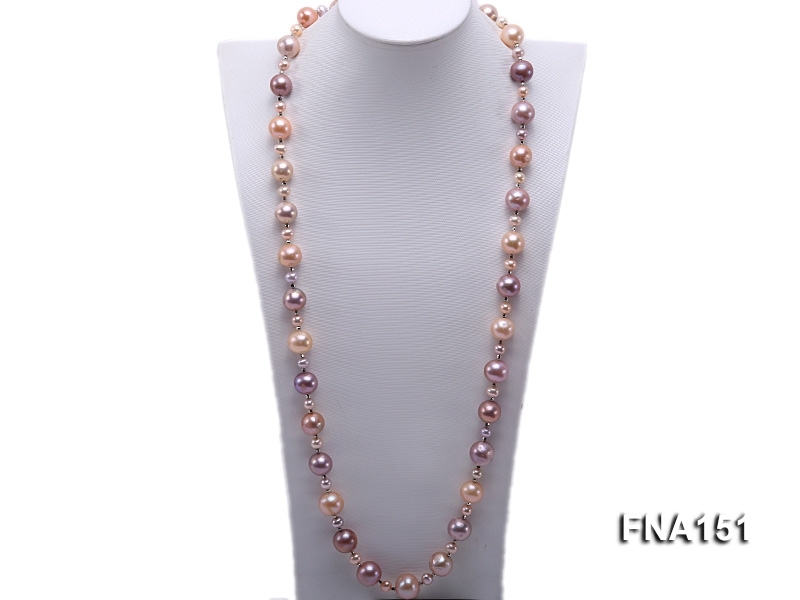 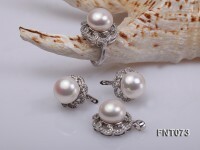 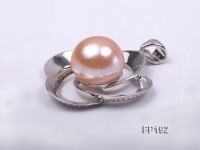 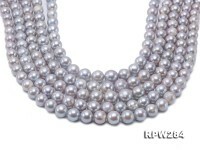 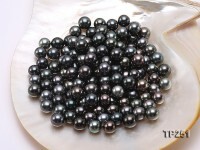 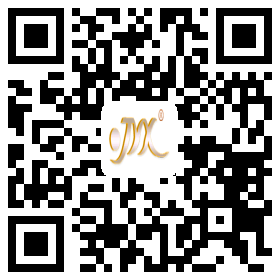 Every two Edison pearls are unexceptionally separated with one pink or lavender 8mm freshwater pearl and two 3mm steel beads to ensure eye-pleasing visual effect and fashion touch at the same time. 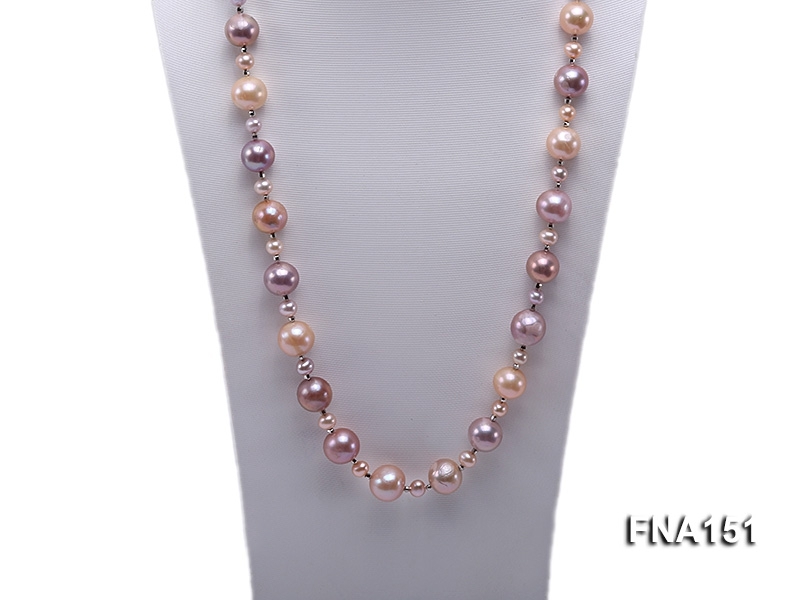 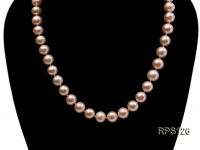 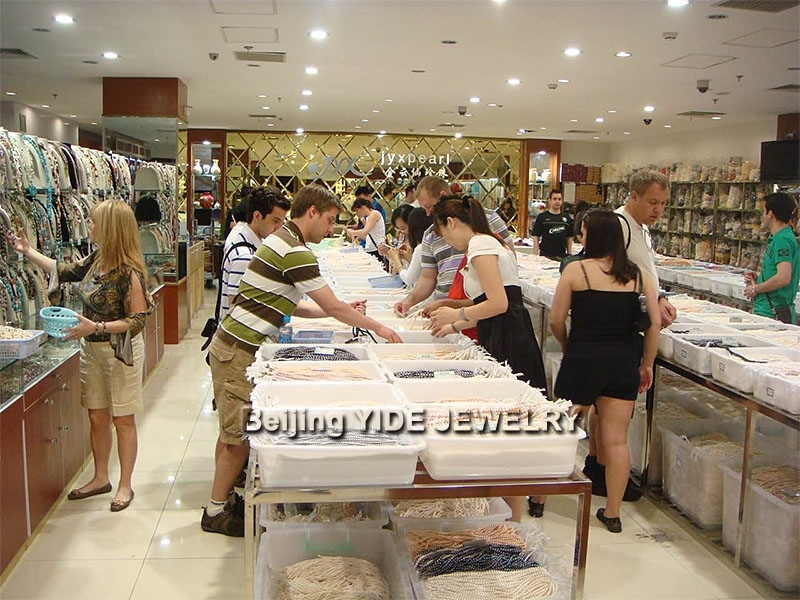 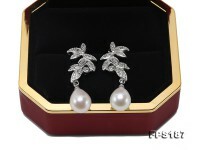 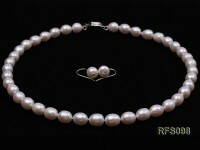 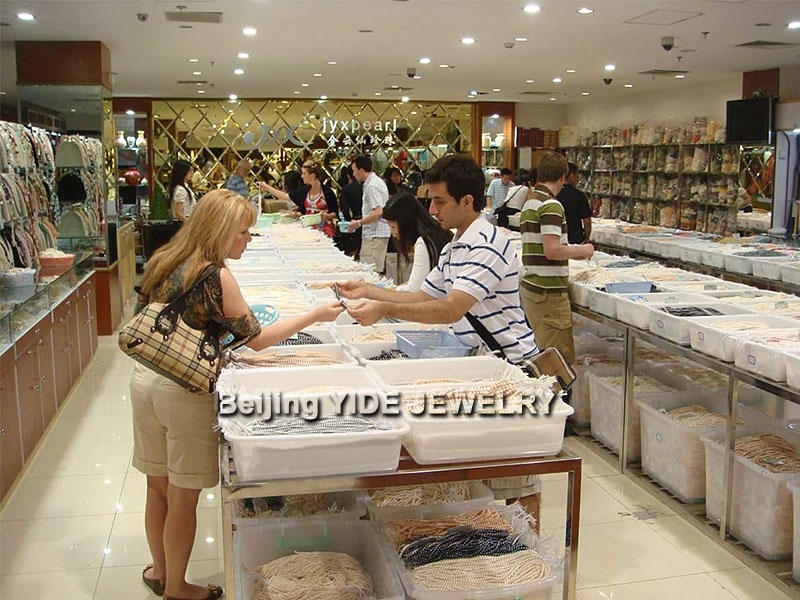 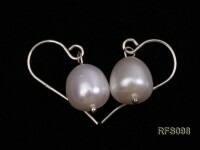 This style of Edison pearl long necklace can easily go with evening dresse or office wear.